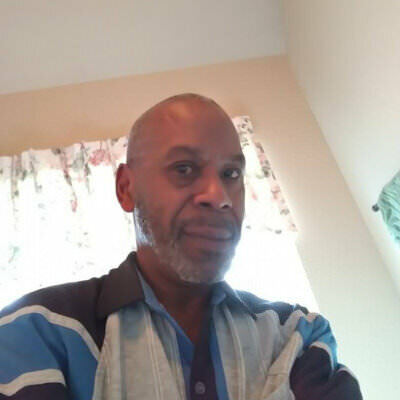 Black Male (63) looking single woman near or around OK, TX, KS, MO. willing to start long term relationship before making any sudden commitment. Love to travel, fish, sports, crafts, (relax), Easy going, enjoys life and people, sports, weather, travel and having a good time. Love to be love, happiness, laughter. Long-term friendship, & marriage. Enough of the fluff, I don't care what people say or thing about the way I look, I am happy with everything God has done. For those people who has to alter the bodies, for what? Everything I was born with has not been chemically; surgically; added to; altered. The body is nice to look at & a wonderful thing to display. What God done with the way I look is either pleased him, or I'm funny as hell to him. anything that is exciting as long as it was safe. Please God, by achieving knowledge, wisdom, obedience. Committed to their mate, & always seeking to please. Ready to get marry after dating, or connecting, 6 months to a year. Ready to get on with a long term relationship. Love was she sees in my heart (personalities, characteristics). What I don't want is unnatural woman, false this, fake that, alteration here & there. It seems that she is hiding something, or something about her inner personality is not matching with the outer. I what to know what if the outside is saying the same thing the inside is saying.Seeking a woman willing to relocate to where I am, her or family members what makes you happy. It depend on the person, & what I know that would be to their liking.